Finally we made it! 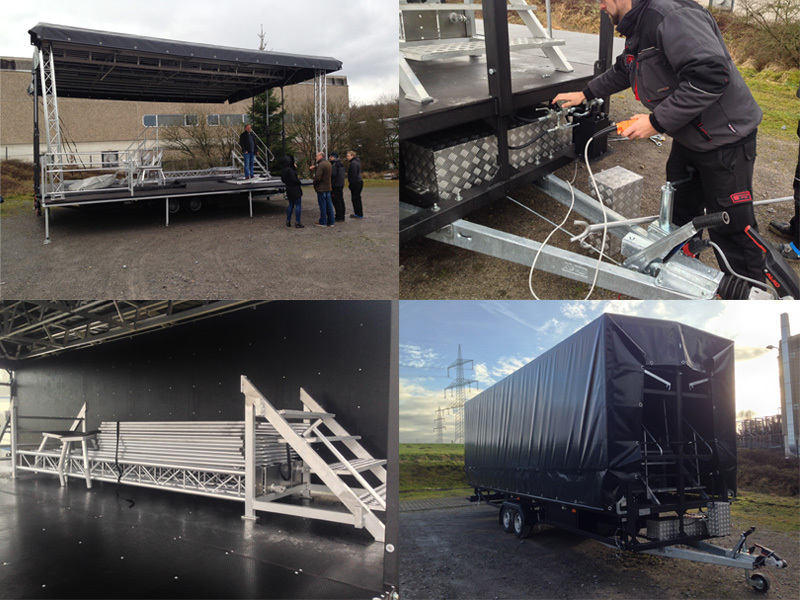 With a lot of proud, we present to you the first AL Stage S24 mobile stage with a flat roof. Last week, the new stage model was handed over to our customer. 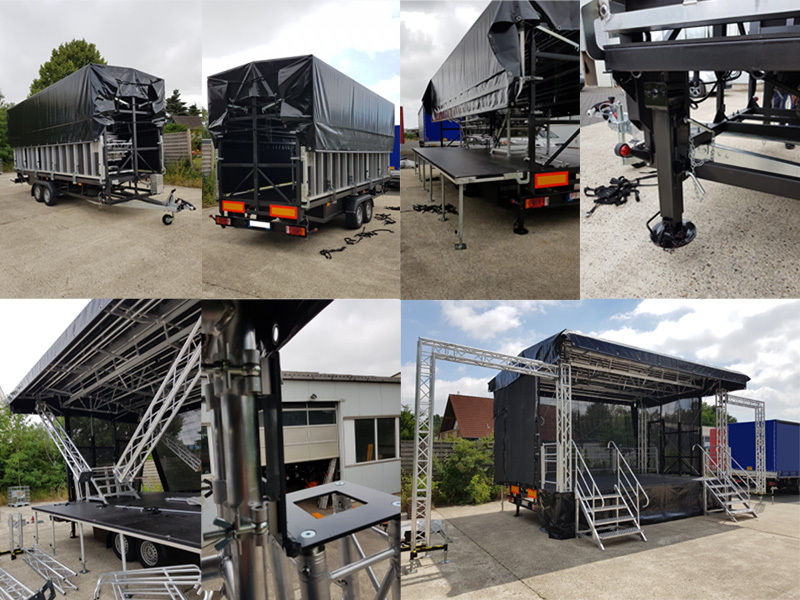 Our smallest mobile stage with a 24sqm roofed size is really an optical highlight and has futhermore a lot of practical and innovative details. From that we can convinced ourselfs during the first assembling of the stage and get a really positive impression. The assembling could managed without any problems and in shortest time from only one person. So in our opinion, this stage is probably the fastest stage of Germany. Many small technical innovations complement the total package, like the welded mounts for the steel wires or the foldable system to fix the Flying Tower. You also want a baby like this? Then don't hesitate to contact us and we will make you an unbinding offer. With the unbeatable price, you won't think about it to much. We are expanding our range. From now on you can order the Al Stage flat roof stage with a stagesize of 24sqm. The load capacity of the trailer is only 1,8t, so you can move the stage with every regular car, who is alowed to transport the weight of the trailer. 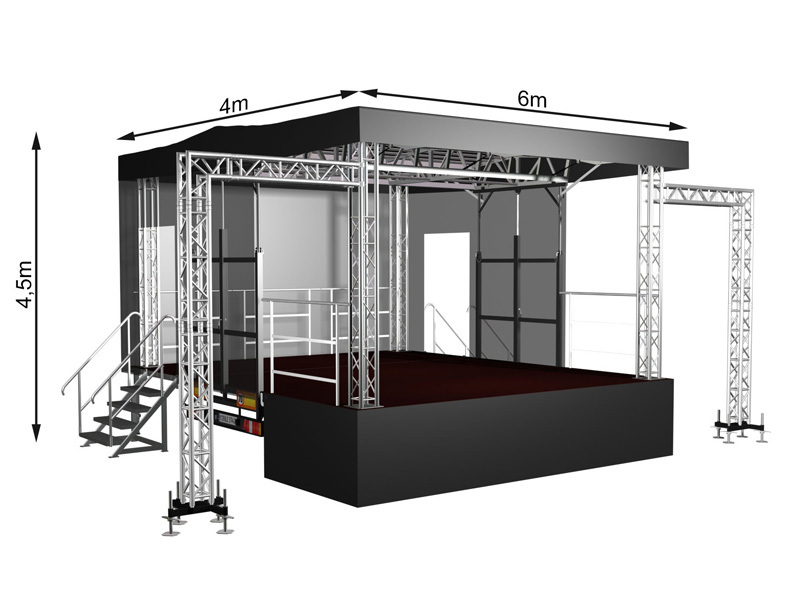 Otherwise the stage is identical to all bigger ones and could be ordered with the same available accessories, like the electro hydraulic floor and roof lift. More pictures and informations coming soon. Yesterday we get a new AL Stage S48 with a flat roof and a roof lifting hydraulic and handed it out to the happy new owner, the Solinger TageblattSolinger Tageblatt and show them all the functions and a complete assembling of the mobile stage. All involved persons were really satisfied and proud to have the stage now in stock. Right on time, the new stage has his first public apperance by the carneval in Solingen on Monday. We wish the new owners a lot of fun and succesfull events with the new stage. 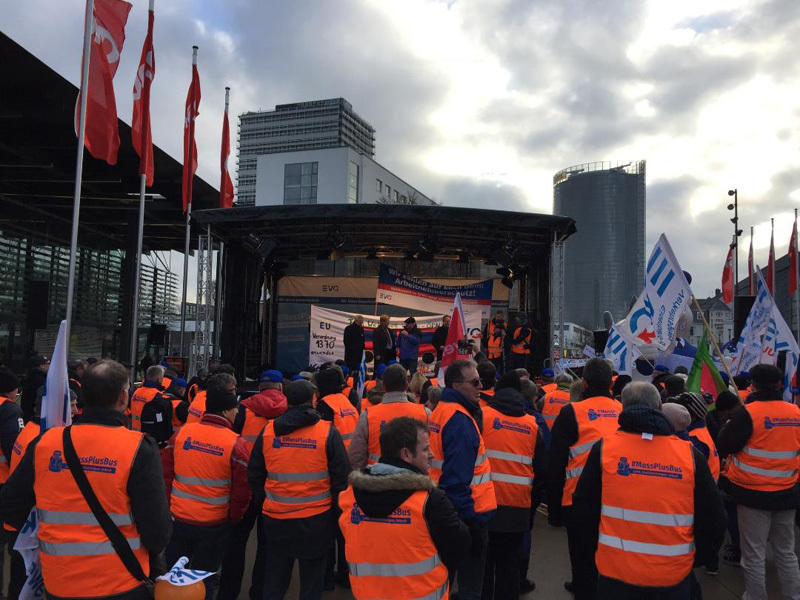 In the future, we like to show on this blog and also on facebook again and again pictures and news from this stage on various events, to present you the different and possible applications of a trailer stage.